This week on the PGA tour we head over to New Jersey for The Barclays which is the start of the FedEx Cup playoffs where the top 125 players in the FedEx Cup standings tee it up as they attempt to win their share of the $8million prize fund. The big names have dominated this event over the years, Adam Scott, Nick Watney, Dustin Johnson and Matt Kuchar are the last four winners of this event, all of whom have won on the PGA Tour on multiple occasions. The worlds best players are all in New Jersey this week excluding a certain Tiger Woods who did not qualify, Jason Dufner who is injured and Dustin Johnson who is taking a break from the game to sort out some ‘personal issues’. Ridgewood Country Club hosts this years opening FedEx Cup playoff event for the third occasion. It was designed by Albert Tillinghast who has designed a host of famous courses including Bethpage and Winged Foot which have both hosted the US Open recently. The course is a par 71 that will play 7319 yards, length off the tee is preferable but not essential due to the treelined fairways. Ridgewood was first used in 2008 when Vijay Singh claimed one of his most recent wins on the PGA Tour scoring eight under. 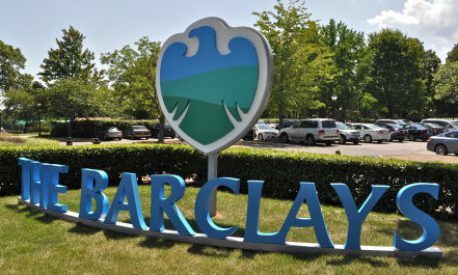 It then went onto host The Barclays in 2010 when Matt Kuchar won the title after he beat Martin Laird in a playoff, the pair shot twelve under par. As you would expect Rory McIlroy is the clear favourite to win this week after winning three consecutive events, the Northern Irishman must be full of confidence after winning the final two major championships of the year, you can back Rory to win this week at 4/1 which is not appealing in the slightest. Adam Scott has been installed as the second favourite after recording five top ten finishes in his last six events, the Australian also finished 9th around this course in 2010 and won this event last year. Finally the inform American Rickie Fowler has finished in the top ten in each of his last five competitions, he has also finished inside the top five in each of the majors this year, it’s only a matter of time before Rickie secures his second victory on the PGA Tour and you can back him to win this week at 25/1. Hunter Mahan – Mahan will be looking to get into the USA Ryder Cup and a good performance this week will increase his chances. The American has had a poor season but appears to be hitting some form. Recently Mahan finished 15th in the WGC Bridgestone Invitational, he hit more greens in regulation than any other player in the field, this shows he is striking the ball well. Hunter then followed that up with a top performance in the US PGA Championship around Valhalla, he finished in 7th position and once again he hit more greens in regulation than any other player. Mahan is a top player that has five PGA Tour wins to his name, he has every chance of winning this week. Kevin Chappell (Top 10) – A huge price on Kevin Chappell to make the top ten this week at odds of 13/1. Kevin is having a great season, he has finished inside the top 25 on seven occasions. He has also finished inside the top 20 in three of his last five outings including the PGA Championship when he finished in 13th position. He hit 76.39% of greens in regulation which was more than anybody else in the field (Tied with Mahan) which shows that he is striking the ball very well. In The Barclays last year Chappell finished in 15th position and shot a third round of 62 however the event is being played at a different course this year. Personally I think the total driving statistic is key this week and Chappell is ranked 3rd in the total driving statistic on the PGA Tour this season.